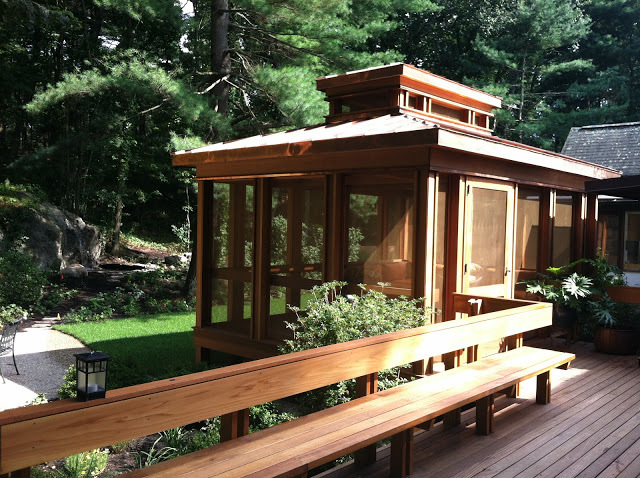 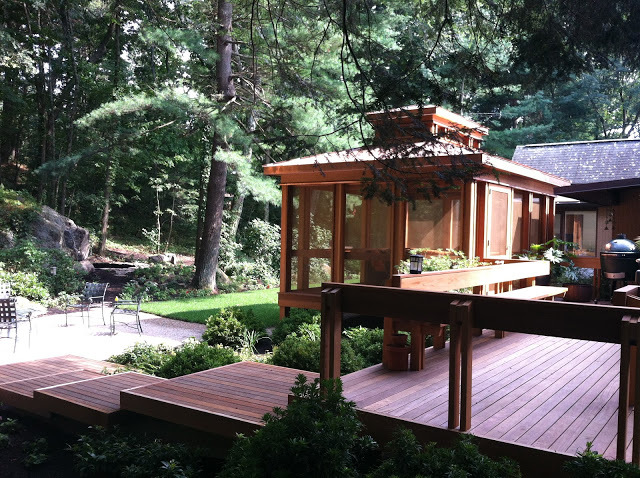 Copper, brass, red cedar, ipe and stainless steel comprise the elements of this novelty stand-alone screened porch and decks. 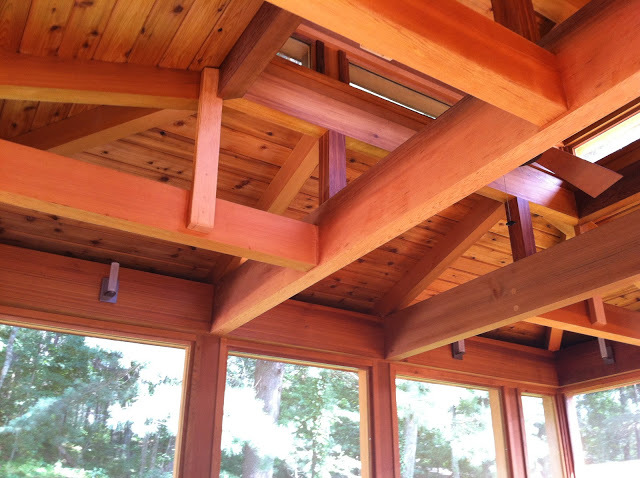 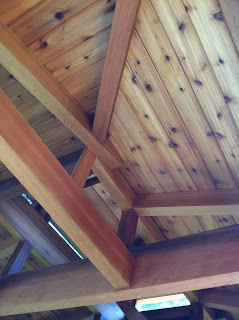 The challenge of doing finish-grade joinery on a timber frame-sized members kept our saws calibrated and our thinking caps alit. 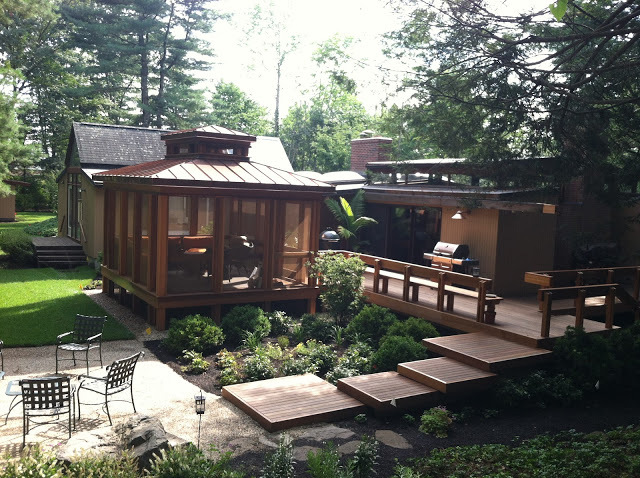 Landscaping and waterfall by Roger Cook, of This Old House fame.